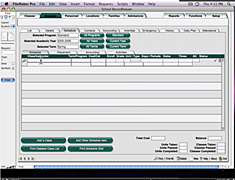 Choose from three versions of School Recordkeeper available. As custom software developers, our focus is to create a system for your school to meet your every need without concern for our overall agenda for development. This allows for you to invest in a single system which may be standard now but allow for future customization as your school grows and needs change. Standard versions are available below. Ask about some of the custom solutions not listed here that may meet your needs. Some alternative version include systems customized for Alumni tracking, grant and scholarship finance tracking and more. 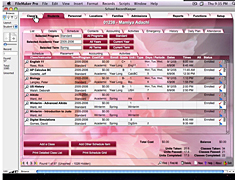 School Recordkeeper is designed from the ground up to be fully functional on either Windows or Mac machines. In fact, you can use a mixture of both at your school and the software functions seamlessly cross platform. School Recordkeeper is secure—you own your data. With our web interface you get the best of cloud computing with the security of locally-owned data. All of our School Recordkeeper versions are fully customizable. While we feel that each product will probably meet all of your needs, we can customize most aspects of the application to meet your requirements. ¹School Recordkeeper was customized for our client Starkey. Please contact us for more information on how we can adapt our School product to your requirements.